Jason has been fishing from an early age, back to the age of 5 when he used to sit on the docks of a local lake with his Grandpa and fish for trout. That planted the “bug” and his parents will attest to his absolute obsession with fishing. All family vacations from that point on had to be close to some sort of water where a hook and line could be dangled! As luck would have it, he grew up on the banks of the Nickomekl river in Langley and fished it for salmon and cutthroat everyday after school. On the weekends it was out to Sardis to stay at the Grandparents where Saturday and Sunday were spent casting into the many runs and pools of the Vedder for salmon. In the spring time it was up to Heffley Lake to fly fish for trout and at an early age he was casting flies and tying as well, albeit Doc Spratleys or nothing at all. In the summer months it was out to Vancouver Island where his Uncle would teach him the ways of trolling for then very abundant Georgia Strait coho. Before he was old enough to drive he had saved enough money to buy his first custom-built Sage centerpin rod from Fred’s Custom Tackle and an old Avon Royal Supreme centerpin from Gord’s Tackle Box. In these days float fishing was life and steelhead were the new passion every winter weekend was spent in pursuit of Vedder steelhead with the many veteran anglers who were only to happy to give the “kid” a drive if only he would show them his favorite spots! By 16 he was an accomplished float fisherman, fly fisherman and fly tier and had received a job at Terminal Tackle & Bait in their Langley location as well as their White Rock location. He had found his home in fishing tackle retail and couldn’t be happier. From here he moved onto a guiding career in saltwater and spent one season in Rivers Inlet but fell in love with Haa-Nee-Naa Lodge on Dundas Island and spent the better of his 20’s guiding there in the summer and guiding on the Fraser for salmon and sturgeon in the fall. In between stints of guiding he took his Fisheries & Aquaculture Technician Diploma and worked at shops like Anglers West and Active Tackle. During this time he was active in the local fishing community and has been a past director of the BC Federation of Drift Fishers, past director and past president of the Steelhead Society of BC and a member of the Kingfisher Rod & Gun Club. Always the explorer, Jason has fished extensively for steelhead in local waters, Vancouver Island, Central Coast, Skeena & Nass regions, by helicopter, float plane, jet boat, truck, ATV, mountain bike and just plain lots of bush whacking! Having scratched that steelhead exploration itch with both gear rod and fly rod, most steelhead days are now spent Spey fishing the Thompson, Squamish, Dean and Skeena. Not content to just fishing local waters, he has explored waters further afield and has fished Chile for big browns and rainbows. Panama and Mexico for dorado, tuna, sails, and marlin. As well as Mexico, Venezuela, and Cuba for bonefish, permit, and tarpon. Throughout his career in the sport fishing arena Jason has always strived to be an ambassador and a teacher. He has written numerous steelhead and saltwater fishing articles for BC Outdoors Magazine, has written weekly fishing reports for the Vancouver Sun, has appeared on numerous episodes of BC Outdoors Sport Fishing TV, has been featured on Breakfast Television, has been featured in Vancouver’s Where Magazine, and was co-host of the radio fishing show “BC Wild Country” on the Team 1040. 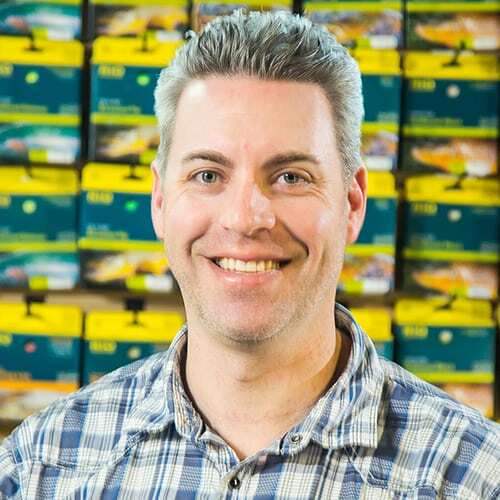 In 2007 Jason opened a retail fishing tackle store called Pacific Angler, which has grown over the years to be Vancouver’s store for the fishing enthusiast. As the store grew so did the courses and the guiding and today the shop boasts the largest selection of fishing courses in North America as well as 2 Grady Whites, a raft and a jet boat for guiding in the ocean, lakes and rivers. After many long days on the retail floor and guiding, Jason’s time at Pacific Angler is now spent on a mix of different things. He can be found working in the office and sales floor of Pacific Angler, guiding the local saltwater, hosting trips to the Dean and Skeena for steelhead, and hosting trips to Cuba for bonefish, permit and tarpon. When he is not in the shop, guiding, or on a hosted trip, you guessed it, he is usually fishing. His preferred waters these days are remote rivers Spey fishing for steelhead or out on the Gradys searching for chinook in the local saltwater.